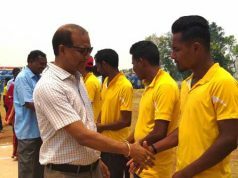 Sonipat: In an endeavour to boost the spirit of Haryana’s favourite sport and encourage local wrestling talent, Vodafone India, had in April 2017, announced the first-ever pan state Vodafone ‘Dangal’ tournament at Rewari. 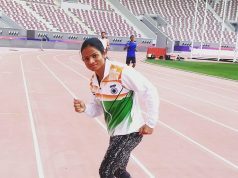 Taking the initiative forward, Vodafone ‘Dangal was recently conducted at Sonipat, which was formally inaugurated by renowned wrestler Geeta Phogat and Pawan Saroha. The highlight of Vodafone ‘Dangal’ at Sonipat was the presence of renowned Wrestlers Geeta Phogat and Pawan Saroha who took the time and effort to speak to the young wrestlers and advice them on the importance of perseverance and commitment to excel. 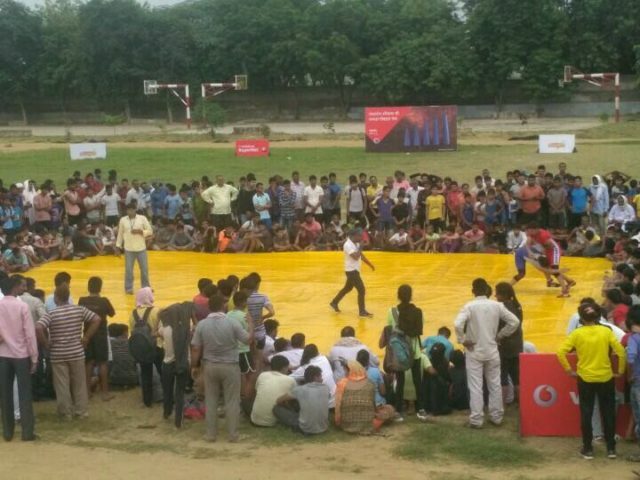 Viewers at Vodafone ‘Dangal’ in Sonipat saw over 500 bouts held over the day, with participation of wrestlers from popular Akharas across country. In the final Kesari round, wrestler Krishan Ji won the 1 lakh as prize money. Expressing his delight at the enthusiastic response from wrestlers and audiences alike to Vodafone ‘Dangal’, Mohit Narru, Business Head – Haryana, Vodafone India, said “We conceptualised Vodafone ‘Dangal’ as a platform to encourage local wrestling talent and give them a credible platform to compete and win recognition. Vodafone believes this initiative will facilitate the discovery of wrestling talent at the grassroots level and several of these young and talented youth of Haryana can go on to make the state and even Nation proud.. Just like Vodafone’s Data Strong Network that keeps Haryana connected 24X7. Taking a cue from our robust and well spread network that has also penetrated the deeper pockets in the state, Vodafone ‘Dangal’ seeks to be one of the most aspirational wrestling events, drawing participation from every village and town in Haryana”.